The Chief Executive Officer of Bahrain Tourism and Exhibitions Authority (BTEA), H.E. Shaikh Khaled bin Humood Al Khalifa, received on Monday 14th January 2019 the Chief Executive Officer of Bahrain Airport company, Mr. Mohammed Al Binfalah, to discuss ways of increasing cooperation and the potential of opening direct flights to new destinations and collaborating/attracting national travel agencies to attract international airlines to the Kingdom. They also discussed the existing plans to expand the Bahrain International Airport, where further efforts are being made to improve Bahrain's tourism infrastructure, services and facilities in order to provide a seamless travel experience for visitors. 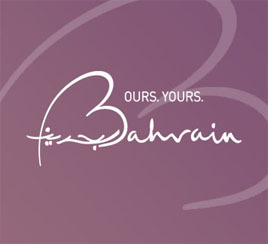 The BTEA, in collaboration with Bahrain Airport Company, will continue to promote Bahrain through its representative offices located in Saudi Arabia, the United Kingdom, Germany, France, India, China and Russia in order to bring in large tourist groups from all around the world, making it one of the world's leading tourist destinations.